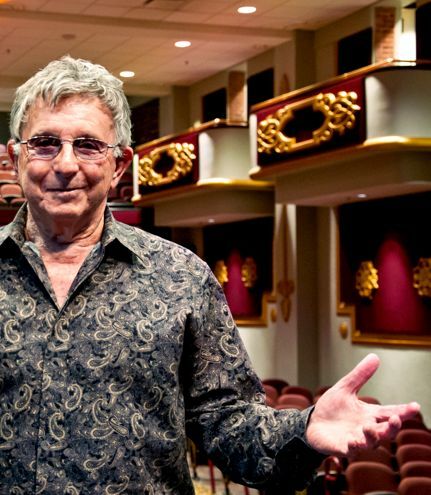 Legendary Broadway producer and American entertainment mogul Zev Buffman has been at the center of numerous downtown revivals in Florida and other parts of the country. 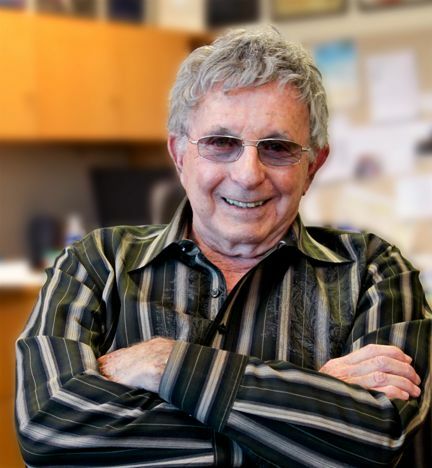 While his resumé and well-known expertise involves fantastic successes in producing blockbuster shows, building ornate theatres, and supporting the arts of all cultures, he also is a considerable national expert on breathing vitality into dormant downtowns. As the current president and CEO of Ruth Eckerd Hall he is at the epicenter of the dialogue now ongoing regarding the revitalization of Clearwater’s downtown. 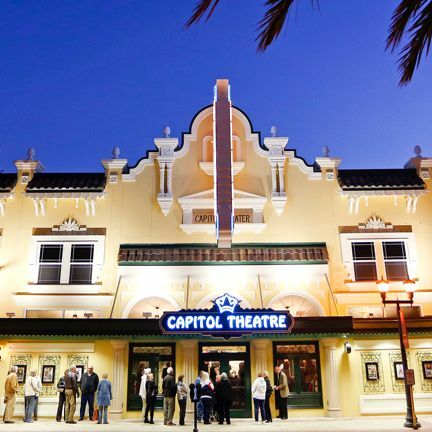 In fact, he scripted and shepherded through to completion the restoration of the downtown Capitol Theatre—“Step one,” he calls it, in the journey to a new downtown Clearwater. Buffman recently agreed to sit down at his office with Freedom writer Peter B. Gallagher. Buffman gave a frank discussion of his visions, expectations, troubleshooting and prognosis for a municipal project that carries his express commitment—the rebuilding and revitalization of downtown Clearwater. Mr. Buffman, can downtown Clearwater be remade into a vibrant metropolis? Do you have a vision for the downtown Clearwater of the future? What can and must be done? Is it possible? I believe that all national trends will show that downtowns are worthy of making comebacks. And the realities are indicated in a lot of studies that either show that totally salvaging a dying downtown or simply making an effort to have downtown work better have been happening in big cities and mid-cities. I agree with that because I have been involved directly with the remaking, rebuilding, or restoring of six or seven major now-successful downtowns in Florida and other areas of the country. And I believe in this for Clearwater, due to the city’s unique setting, the kind of support from a higher power that no one can build for you, the waterfront and the sunset in your back yard or front yard every day! You know, the recent tremendous boost in tourism at Clearwater Beach is not only evidence of recovering but showing boom signs. And the one thing that is missing from those hundreds of thousands or millions of people that go to Clearwater Beach for that beautiful sand and the beach experience, is the lack of anything to offer them beyond the daytime and some good food. Nighttime remains a question mark. That, to me, as a theatre person and a concert person shows an opportunity. My heart tells me there is an obligation and the hard knowledge comes from seeing downtowns that were walked away from and the consequences to the city and its people. And it is a lot harder to live with a dying downtown or a dormant downtown and far more expensive to walk away, than to develop, build and grow. So that is my opening statement about motive and plans for the future. What about the recent report from Florida State University economists, the economic impact of the Church of Scientology on Clearwater and surrounding areas—does it prove anything to you? It is interesting that in our region—and it is the first thing that caught my eye—having read this study, I immediately related to St. Petersburg and its downtown, Tampa and its downtown, which are the two largest neighbors, and, in some interesting way, to Dunedin and its handmade, homemade wonderful downtown, a totally organic evolution. St. Pete is even more in a crisis because they have not achieved quite as much as Tampa has in natural resources or resources by development, like having a sports arena downtown, having a major theatre downtown and having some serious corporate money. There is a lot of available money in Tampa compared to Pinellas County. So Tampa feels the need to go better with their downtown. St. Pete is literally on the firing line right now, with a new mayor, to redo the Pier, to find a solution for some very good properties in neighborhoods downtown, to remove some eyesores and crime centers and make things better. Those two centers: St. Pete and Tampa, will tend to go vertical. Clearwater—this is just my analysis of what we have here as an opportunity in downtown Clearwater—Clearwater does not want to be, and probably will not become, a high-rise center. Oh yes, some housing will develop and go up, because the views are great and the neighborhoods are safe. So downtown Clearwater should be different, just like Dunedin found its own niche and that difference should be anchored in entertainment, like the Capitol and street festivals on Cleveland Street, and in larger concerts and festivals at Coachman Park by improving that facility and making it more concert friendly. What can the city do? I worked with the City for the last two years and people predicted that this project—the Capitol Theatre, which was quite complex—would never be finished on time and that it would drag on like many other promises past. But it happened on time. It happened in record time as if this were all private sector. Yet the City was involved in every step. The City IS going to rewrite the rulebooks very soon, all the way, including signage. I am not complaining because I know change takes time. But not too much time. And change should never harm momentum. If change is needed and you have momentum—which is so hard to create, to move and grow—you have to change your rulebook. I have been speaking with city officials about a simple thing like signage. We recreated a marquee and we are only allowed to use it with certain colors even though we have the technical capability to have it change colors with the holidays or rapidly change the look of the marquee, which is an attraction. We do have situations with having parking restrictions on the street softened in view of the larger crowds that are coming now than was ever estimated during the period when the downtown wasn’t open in the evening or, as some say, a one-horse town with the Church pretty much the only ones spending money. So, I am fully committed and will work diplomatically with the City and they will listen, I am sure. They know. They are smart. The Capitol Theatre, which was never supposed to be an instant and gigantic success, has reformed thinking within the City that this is real and this is coming. And [there is] work to be done on Coachman Park to have 30-40 more events a year for thousands of people, from festivals to concerts, because it lends itself so perfectly and others really don’t do it. Neither St. Pete, nor, in a way, smaller Dunedin, nor Tampa do those very large festivals or concerts on a regular basis. Improving Coachman Park and making it a place that would be an event and festival park with permanent restrooms and permanent concession facilities. If we make it easy for people to eat and resolve the parking problem with at least one new parking structure—by bringing people to 30 events, concerts and festivals that have never been there before. And if the capacity is probably 6,000, you are talking 180,000 people. You take those 30 events plus the 150 events the Capitol is producing in a smaller capacity, and you get continuity. It is an easy next step. It always is. There is magic in momentum. The Church is there. Like the Capitol, you build a facility and people come from everywhere to what really was an old 1921 wreck of a building. You just demonstrated what no study can match. People bury themselves in studies beyond belief, but if there is proven expertise among people who do it for a living and have a history, you have to listen to them. The timing could not be better, because things are changing downtown. The change has begun. Or let’s say the end of no change has come. 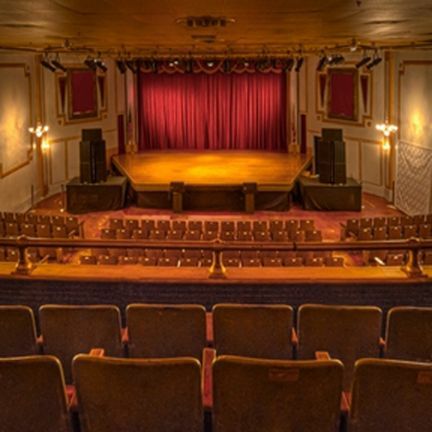 A somewhat little and insignificant target, the Capitol Theatre, has proved that the biggest names in the business will play there and that audiences will sell out 80 percent of the shows, in an area that was taboo. There is something there, got to build on it.